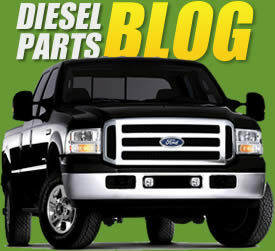 Hot-start issues are a common problem affecting Ford 6.0L Powerstroke owners. This problem is almost always caused by the engine's high-pressure oil system having a leak at some location in the system. This system also runs the diesel fuel injectors, hence the issue. The system needs to build 520 PSI in order to start. If the leak (or leaks) is severe enough, 520 PSI can not be reached and your truck will not start at all. This IPR fitting is installed in place of the IPR valve and allows the high pressure oil system to be completely sealed in order to detect and identify any leaks present in the system. This kit is specifically designed for 2003-2007 Ford trucks with 6.0L Powerstroke diesel engine. The kit allows you to accurately check the fuel system for a restriction before the fuel pump. For a variety of reasons, a flow restriction can develop in the fuel tank. With the proper tools, this can be checked to rectify a no-start condition. The TamerX test kit includes a special adapter that replaces the factory water drain plug for the HFCM (Horizontal Fuel Conditioning Module). This adapter has a Schrader valve which allows for attachment of the hose. A premium two inch liquid-filled gauge that can check pressure (150 PSI) and vacuum (30 inHg) is also included with the test kit. If the reading is 4 inHg of vacuum, there is most likely a flow restriction somewhere in the system. The hose and gauge can also be used for a variety of other tests on other diesel engines. Fuel pressure is key for any diesel engine to perform correctly and efficiently. This is a kit for pressure testing EGR Coolers for 2003-2015 Volvo D12, D12D, D13, and D16 applications. The TamerX Diesel Fuel Injector Cap / Block-Off Tool for 2008-2010 6.4L Ford Powerstroke Diesel is a toolbox essential for everyone working on common rail fuel systems. When a common rail engine fails to start, your first troubleshooting step should be to check fuel rail pressure. If the pressure is under 24,000 PSI (on a 6.4L engine), the most likely culprit is a defective diesel fuel injector returning excess fuel back to the tank. A return flow volume test will allow you to determine if excessive fuel return flow is the issue. This is one of those tools that every mechanic working on a Ford Powerstroke diesel must have. This adapter makes checking fuel pressure much easier. The adapter screws into the fuel filter housing, providing access for the fuel pressure test gauge. The Schrader Valve is fuel rated for the newer low sulfur diesel blends. These fittings enable you to test oil pressure at the high pressure oil rail on Ford Powerstroke 6.0L and Navistar VT275 and VT365 applications.